Our final strategy topic for 2012 focuses on what law firm management is doing relative to setting objective measures for their strategic plans. More specifically, what do law firms measure and are those measures in any meaningful way connected to their own strategies? No one responding to this month’s survey has formally adopted a full scale balanced scorecard approach. However, roughly 40% of the firms responding to the mini-survey have either adopted portions of the balanced scorecard (25%) or are working with an informal version of the balanced scorecard (15%). This is consistent with what we found in early 2009, when we were putting together case studies for Balanced Scorecards for Law Firms – namely, very few firms have formally embraced a balanced scorecard approach to strategy implementation and/or performance measurement. Unsurprisingly, 100% of law firms report having and using financial measures. 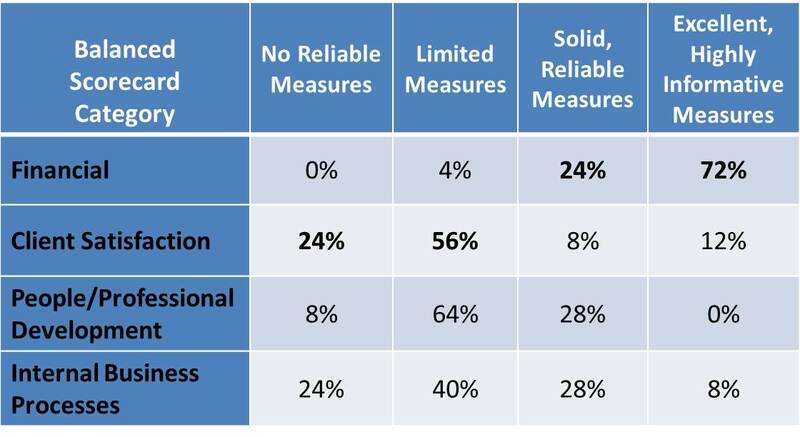 In fact, the overwhelming majority of them consider their financial metrics to be either “solid and reliable” (24%) or “excellent and highly informative” (72%). 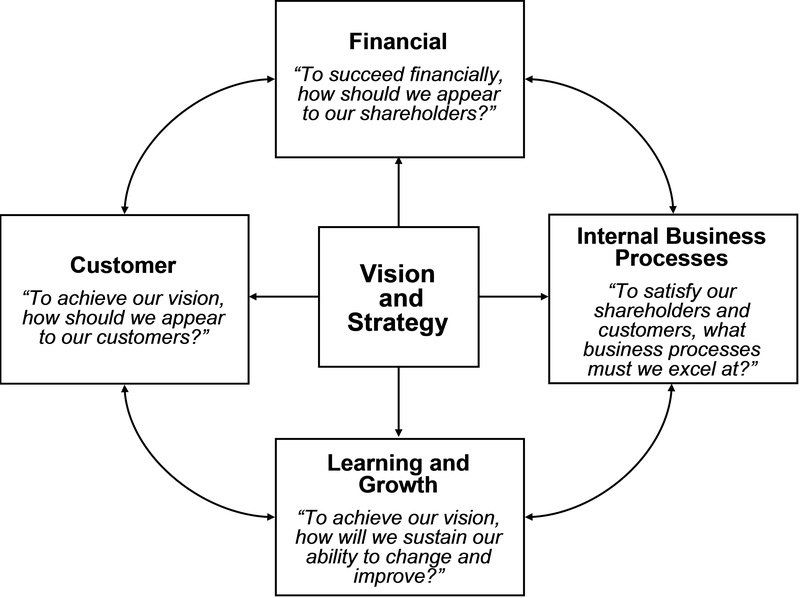 To the extent firms have measures linked directly to their strategic plans, those measures are predominantly financial. Asked specifically if they have measures linked to their strategy, only about half of responding firms reported make any effort to link measures (financial or otherwise) to their strategic plans. A summary of how prevalent measures in each of the four balanced scorecard categories are within law firms underscores the overwhelming reliance on financial results as a proxy for everything else. The most striking thing here is that although over 95% of all firms have solid or excellent financial measures, 80% of firms have limited (or no) measures of client satisfaction. This is consistent with our October 2012 strategy topic of the month. In that study we found that relatively few firms have structured client feedback programs focused on their top clients. Frankly, this is both a huge missed opportunity and a potentially critical mistake. Even if you never seriously evaluate or adopt a balanced scorecard – at the very least augment your financial metrics with systematic feedback from clients. As always, we thank you for your input and willingness to share your insights via these brief monthly surveys. We will return next week with a recap of the top ten insights gained from the 2012 strategy question of the month surveys. Best wishes for a healthy and prosperous 2013.